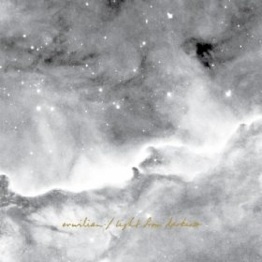 Light From Darkness is the third release from Seattle-based acoustic group Erwilian. What an extraordinary album it is, from the impressive artwork, extensive liner notes, and, of course, the superb music! 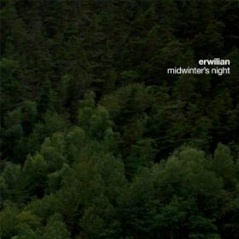 Formed by Scott Melton and Jordan Buetow in 2000 (under a different name), the group became Erwilian in 2004. The current line-up is Melton (guitars, bass, bodhran, mountain dulcimer), Buetow (recorders, harp, percussion, accordion, hammered dulcimer, whistle, celesta, xylophone, etc! ), Bill Bowser (guitars), Bethel Melton (hammered dulcimer), and Jeff Reed (drums and percussion). The album is a collection of thirteen inspirational songs without words. “We have gathered songs whose associations powerfully evoke the act of worship, lifting the spirit closer to its Creator.” Some of the songs are presented in medleys while others appear singly, most of them adapted by Melton and Buetow. The style of the music is not easy to classify, but it has strong Celtic and folk influences that make it earthy and accessible. A very warm and uplifting background for other activities, this is music that deserves to be savored with full listening attention. The CD includes a 24-page booklet with the history of the songs, instrumentation, some of the lyrics, photos, and charming illustrations - an exceptionally nice package! The album begins with Palestrina’s “Adoramus,” reinvented as an invocation (a Buetow solo) that segues into “St. Brendan’s,” a more contemporary hymn adapted for the group. Buetow leads with his soulful recorder and the group’s colorful instrumentation fleshes it out. Love it! “Agnus Dei” is based on “Lamb of God,” a medieval English carol performed on ancient as well as more contemporary instruments. “He Leadeth Me” is an introductory guitar duet that flows into a medley titled “Follower.” The arrangement includes “Savior, Like a Shepherd Lead Us” and “I Will Follow.” It is simple and heartfelt with a variety of instruments taking turns with the lead - gorgeous and very peaceful! I absolutely love “Radiance,” a carefree adaptation of Beethoven’s “Ode to Joy” combined with “Zweitefreude” by Melton and Buetow. “Atta Fossar” is a beautiful Buetow original for harp and cello that leads into “Ex Tenebris,” based on “God Moves in a Mysterious Way.” Both pieces feature lovely cello work by Kathy Spampinato. I really love the simple, haunting beauty of “Williams,” a piece for recorder, guitars, hammered dulcimer, and percussion. “Vision” is a wonderful guitar prelude composed and performed by Bill Bowser. It becomes “Gehalgian,” a piece containing “Jesus, All For Jesus,” “Holy, Holy, Holy,” and “I Surrender All” - another favorite! “Vespers” closes the album with a series of gentle, heartfelt songs that leave the soul at peace. I’m hooked! Light From Darkness can be enjoyed on so many levels - simply for the joy of the music, as a spiritual experience, as a music history lesson, etc. Bravo to Erwilian for a truly exceptional musical journey. The album is available from www.erwilian.com, Amazon, iTunes, and CD Baby. Very highly recommended!